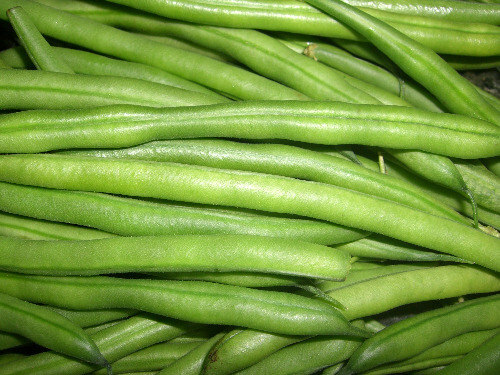 When freezing green beans, like anything else, you want the freshest produce possible. Store your beans in the fridge until you're ready to freeze them. The directions here also apply for wax and string beans. Prepare to blanch by washing the beans and trimming the tips, then cutting them however you like. 1 inch long pieces is the most popular cut and the way you often find them in the freezer section or canned goods aisle at the grocery store. Cutting on a diagonal is also common. You can cut them in half lengthwise for a French-cut. If they are too long cut them on a diagonal to the length you want. Get a large pot of water, set it on the stove to come to a boil and get an ice bath ready to chill the beans after blanching. 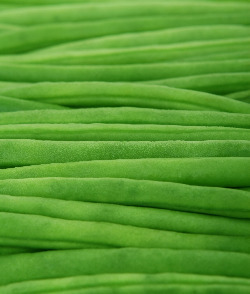 Blanch your cut green beans one pound at a time and blanch for two minutes then leave them in the ice bath for two minutes. Repeat with the next batch, just make sure the water comes back up to a boil between batches. 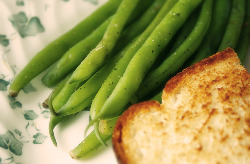 Whole, uncut, green beans should be blanched and cooled for three minutes. 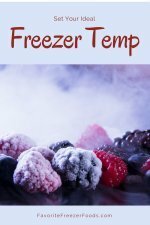 Blanching stops enzymes that can make your food go bad even in the freezer and the ice bath stops the cooking process and prevents overcooking. Use a slotted spoon to take the produce out of your ice water, dry it on a towel and lay it in a single layer on a cookie sheet or jelly roll pan. Place the pan in the freezer for an hour or two until the beans are flash frozen. With this method you freeze green beans individually and can store them in one large freezer bag and simply pour out as many as you need. You can also pack them in family or recipe sized portions. 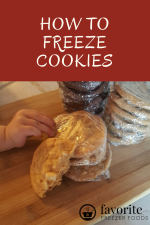 Be sure to label, date and add it to your freezer inventory sheet. Or swapfreezer recipes with other foodies. Return from Freezing Green Beans to the homepage of Favorite Freezer Foods.